We’d love your help. Let us know what’s wrong with this preview of 101 Road Tales by Clement Salvadori. To ask other readers questions about 101 Road Tales, please sign up. Interesting reading, even for someone (like me) who isn't a motorcyclist. I can imagine a motorcycle enthusiast might find this very compelling. While the title indicates more stories of the road, which is what I was hoping. There were enough road tales to keep me reading, and the shortness of the articles compiled in this tome made it good for reading at leisure. I learned a bit, appreciated hearing another perspective on what I knew, and otherwise felt it a good read. 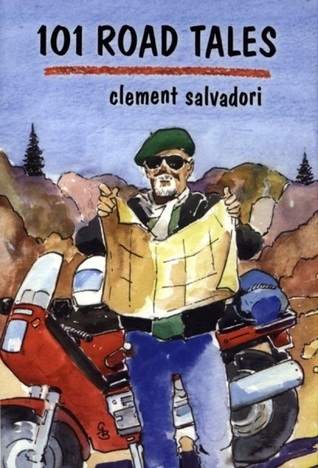 Clement Salvadori is a long-time motojournalist for Rider magazine. This book comprises a collection of 101 of his columns describing his adventures and experiences riding motorcycles. His writing is descriptive and entertaining, at least for bikers, and he brings to life the fun of travel by motorcycle.